The comfortable all-rounder: The light and supple Girl's Cricket 2 Skort is made from a clever mix of fabrics. The skirt is made from quick-drying Supplex nylon. It is pleasantly light and with a 40+ UV protection factor it also protects the child from sunburn. 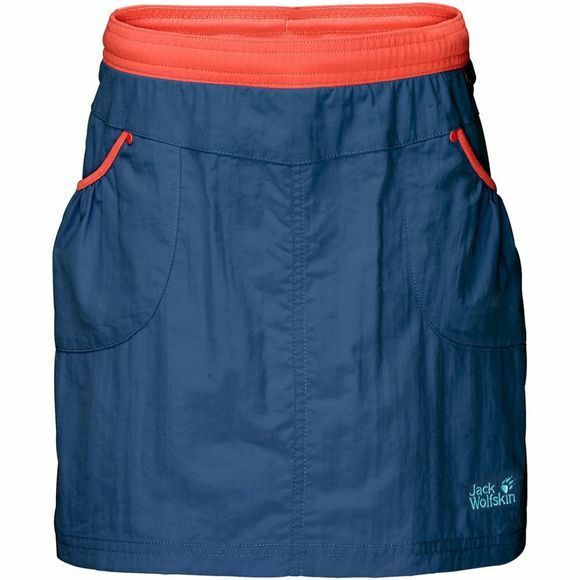 The shorts under the skirt are made from Jack Wolfskin's super-stretchy Hollow Jersey fabric with a very high UPF. They fit perfectly and offer unrestricted mobility and superb wear comfort. An antibacterial treatment helps prevent the fabric from taking on unpleasant odours.